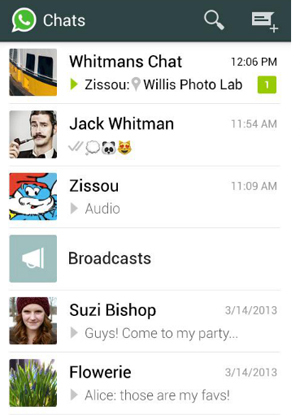 The instant messaging app WhatsApp caught wild fire in no time. Available for iPhone, BlackBerry, Windows Phone, Android and Nokia Phones this app enables you to create groups, send unlimited audio video and image messages to the contacts in your phone, provided they are on WhatsApp. Like every other app, this one too has its own pros and cons. Many users say that the last seen is the biggest advantage and disadvantage at the same time. Well, here is good news on the way. We have come up with a solution to this problem. 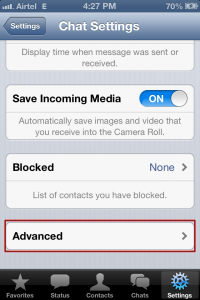 iPhone users can now easily remove last seen Timestamp with the new version of WhatsApp for iOS. Step 1: Go to WhatsApp Messenger. 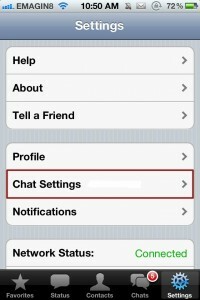 Step 2: On the ‘Setting’ Menu go to ‘Chat Setting’. Step 4: Select “Off’ on “Last Seen Timestamp”. Unfortunately this option is available only for iPhone users. Step 1: Disable internet connection before opening WhatsApp. With internet disconnected read and send messages offline. Step 2: Now close the WhatsApp and enable internet connection. 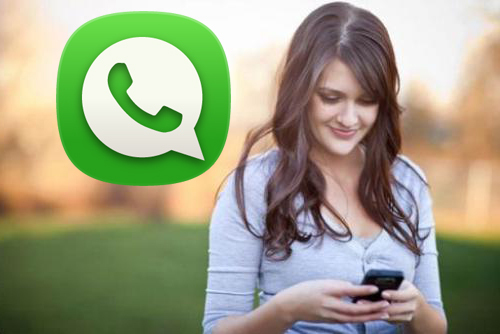 WhatsApp synchronizes with your server and send your messages without updating your last seen time.